Read below to learn the answers to some frequently asked questions. Once you have submitted your life insurance application, the insurer will need to verify that what you placed on your paperwork is in fact correct. Part of that verification process is where the life insurance medical exam comes in to play. During the application process, you will be required to fill out a questionnaire with questions that include your age, health, family health history, lifestyle, and it may even include a few financial questions. Will my doctor perform my life insurance medical exam? For the most part, no as the exam is most often very brief and referred to as a paramedical exam. The insurance carrier will work with a third-party company to send out a certified medical professional that will conduct the required medical tests. You will be allowed to choose the time/location and the exam can even take place in your home or place of employment. 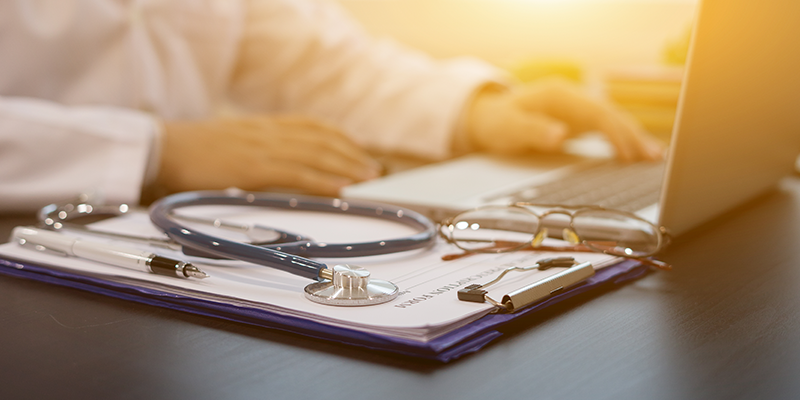 Should you need a more in-depth exam and perhaps even an EKG, you may be able to use your own doctor as long as they agree to the insurance company’s fees and completes their forms. How long will the medical exam take? A paramedical exam is not as invasive as a complete physical exam and typically takes around 30-40 minutes at the very most. Most exams are broken up into two parts. The first part will be a review of your questionnaire and medical history. It’s important to remember to answer each question as thoroughly as possible. It’s also a good idea to have your physician and other specialist’s contact information handy in case it is requested. You will also want to provide a list of medications that you are currently taking. Is there anything that I can do BEFORE my exam to prepare? Since you may be required to fast prior to the exam, it’s best to schedule your appointment for early morning if appropriate. Be mindful of what you eat and drink for a few days prior to the exam. Items that should be avoided include salty/fatty foods, coffee, and alcohol. Get to bed early the night before your exam so that you are well-rested and your blood pressure is lower. Don’t exercise excessively. While exercising is good for your health, it’s best to avoid activities like cardio since it can raise your blood pressure. What if I fail my exam and I’m denied coverage? While for some this may be their reality, it’s important to remember that there are other options. Final expense policies do not require you to answer medical questions or take a medical exam. However, keep in mind that this type of policy is usually very limited in the amount of insurance provided – typically no more than $25,000. While not every type of life insurance requires a medical exam, it’s good to be prepared should one be necessary. To learn more about what life insurance options may be a good fit for you, click here.